The hardest hole on the course and a good example of risk and reward built into the design. 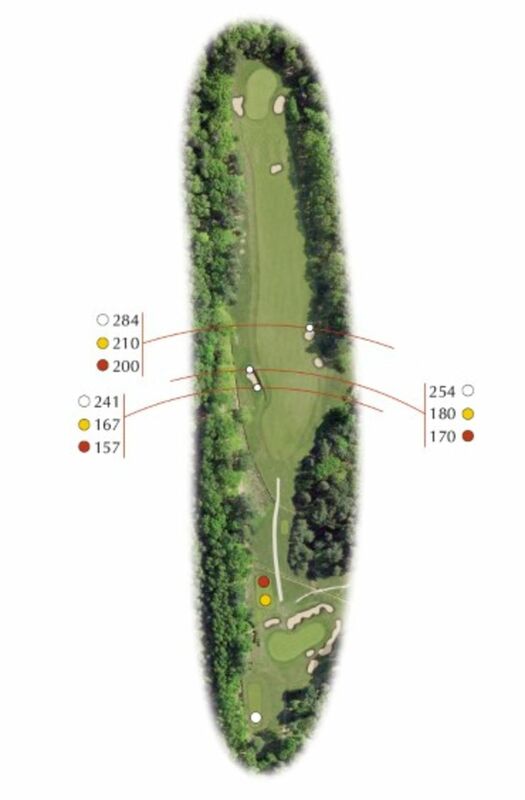 Although the hole presents a challenging drive it is really the second shot that is most demanding. 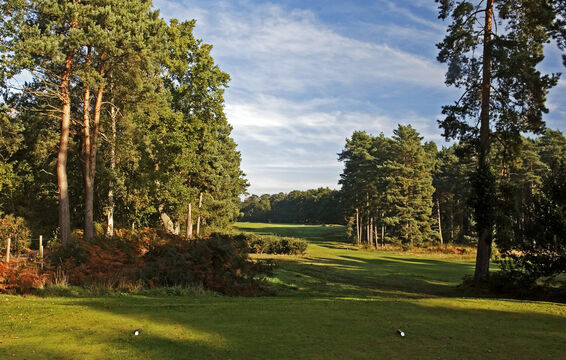 It can be made easier by driving down the left but the line is tight to the trees and a bunker. The right offers slightly more latitude and a greater chance of pitching beyond the slope and getting more run on the shot. From the right, however, the second shot is played at an angle to the green and the greenside bunkering comes more into play. A great hole to make your par.